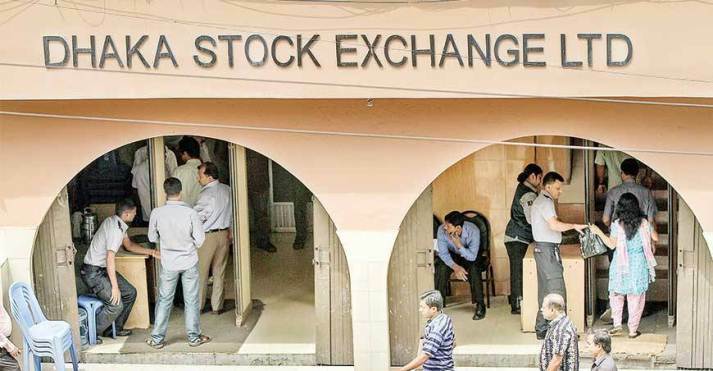 Stocks ended week Thursday with marginal rise while daily transaction rose at Dhaka and Chittagong stock exchanges on active participation around larger cap group. The broader DSEX of Dhaka Stock Exchange (DSE) closed the last session of the week 5.07 points up at 4574.36 when the Shariah DSES ended flat in green at 1123.47. The blue chip DS30 closed the week 2.89 points down at 1781.02. Compared to last week, the DSEX and the DS30, however, closed flat in green while the DSES ended flat in red. The average daily transaction also fell marginally during the week when the value was 0.51 percent down at Taka 545.29 crore and the volume was only 0.07 percent lower at 10.90 crore shares. The general CASPI index of Chittagong Stock Exchange (CSE) was 7.52 points up at 14,066.81. Most the issues traded during the week closed higher, with 169 advancing, 121 declining and 38 remaining static. The top five advancing securities of the week were Ambee Pharma, Gemeni Sea Food, CVO Petroleum, Mithun Knitting and Envoy Textile. The most losing five issues included Exim Bank, SEML, National Life, Titas Gas and Fareast Life. MJLBD topped the turnover list followed by Titas Gas, BSRM Limited, Delta-Brac Housing and BSRM Steel.